You'll be £10.00 closer to your next £10.00 credit when you purchase The Battle for the Maginot Line 1940. What's this? What was it like as a French soldier to defend the Maginot Line when the Germans invaded in 1940, and was the line really a strategic and tactical disaster a massive waste of resources? Clayton Donnell's expert, finely detailed and graphic account of the role of the Maginot Line in the defence of France gives the reader an inside view of life in the bunkers, casemates and forts the sights, the sounds and the terror of the German attacks. And it questions common assumptions about the effectiveness of the resistance offered by the defenders and the impact the line had on the German assault. The layout of the line from Dunkirk to Switzerland, along the Alpine passes to the Riviera, and on the island of Corsica is described in expert detail, as is its history, construction and development. But the narrative concentrates on its performance in combat and the experience of the soldiers who manned it as the German offensive broke over them. Throughout, the book is supported by an excellent section of abbreviations at the beginning. Alongside maps, photographs, chronology and battle order. As well as being a historical text in itself, this work would equally serve its purpose as accompaniment to this part of the world, if visiting the Battlefields. Lots of detail in here, not just of the physical nature of the defences, but particularly of the combat history of the line and the experiences of both the French and German opponents. If you have an interest in the Maginot Line, I'd rate this as a book you will want to read. The author, a retired US Air Force officer, has studied the Line over many years. He has produced a concise history of its background and development, and especially its combat history, sector by sector. He points to its weak spots, inadequate ventilation, often poor concrete and vulnerable OPs. The latter were especially vulnerable to a weapon originally designed for AA use but, but deadly in the anti-armour role, the ‘88’. On the other hand, he salutes the bravery of the crews and the effectiveness of the forts’ armament when called upon to bring down fire. And the Line had it seems done what it set out to do, in reducing Germany’s military options. ...an excellent and very well researched read. 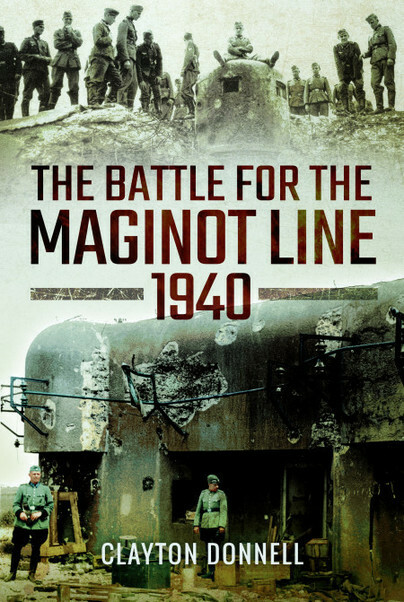 This is the most comprehensive account of the Maginot Line in 1940 and later in WWII. The Maginot Line suffered the basic weakness of all fixed defences but it also offered benefits– highly recommended. Clayton Donnell's book fills a gap in the historiography of the Maginot Line by describing how French fortress troops fought staunchly against invading German forces, often while out-numbered and out-gunned. The author points out that the Maginot Line was misused by senior military leaders who ignored the opportunity to use the fortifications as a jumping off point for counterattacks against the Panzer forces during the initial stages of the invasion and then later stripped the Maginot Line of its supporting interval troops when the fortifications could have blocked part of the German advance into the center of France. Delving into a detailed discussion of the Maginot Line's combat action, the book presents a view not presented in English-language books on the battle for France since the publication of Vivian Rowe's "The Great Wall of France" in 1959. Using more recently available French sources, Clayton Donnell has greatly improved and expanded on Rowe's work to provide a fresh perspective on the Maginot line. Clayton Donnell is retired from the US Air Force. He has a degree in history and has passionately studied military history and fortress engineering for thirty years. Clayton lived for many years in Europe and studied the architecture and archaeology of the most renowned fortress systems of Belgium, France and Germany. He created the first internet site in the world in English about the Maginot Line, and another on the fortress and Battle of Liège, Belgium. His publications include Modern European Military Fortifications, 1870-1950: A Selected Annotated Bibliography (edited with J.E. Kaufmann), The Forts of the Meuse in World War I, The German Fortress of Metz and Fortifications of Verdun 1874-1917.